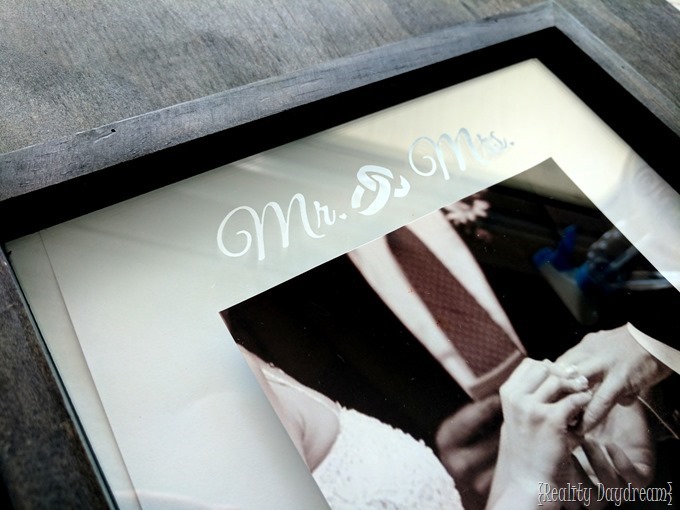 Acid Etching Picture Frame Glass! Wedding season is upon us! 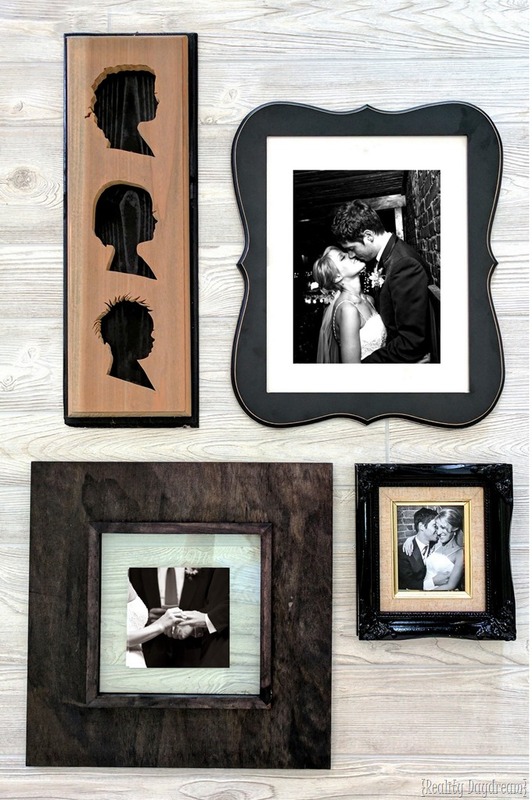 And I love the idea of making something super personalized as a gift for the happy couple. My previous go-to gift was one of these handmade bracket-shaped signs with their last name and year ‘established’. But this year, I decided to try something completely different! Although it’s still something to hang on the wall. Hehe! If you look close, you’ll see that the glass on these frames is ETCHED using acid etching cream! 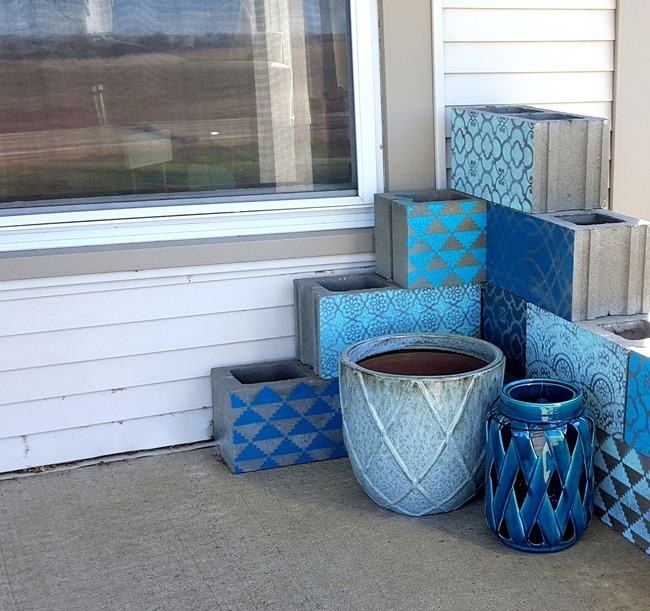 This is such an easy and fun process, even the most novice DIYer could pull this off with flying colors. Let’s do this! I snagged a couple picture frames at Hob Lob for this project. 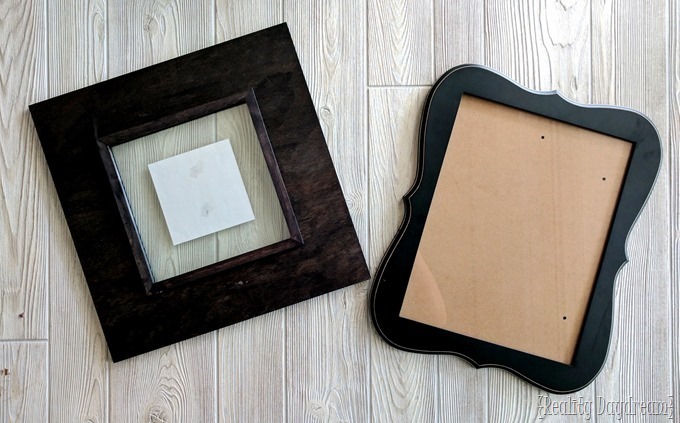 I decided to etch on both frames, but for this tutorial, I’m going to etch the frame on the left because I love how it’s a ‘floating frame’ and you can see the wall behind the pic! 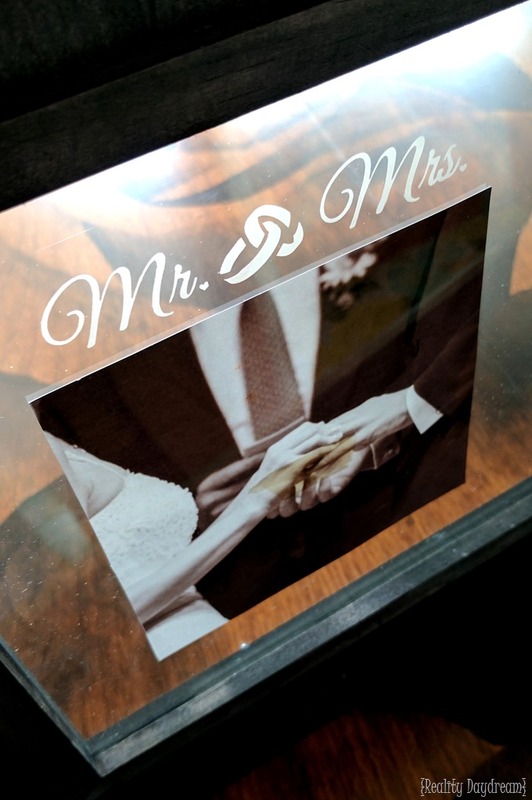 I printed out a 5×5 pic from Nick and my wedding to go between the two pieces of glass. (Our amazing wedding photographer is Hannah Goering!) And I decided to etch on the space above the picture. But YOU could do it anywhere around the perimeter, or even over the picture! Next I gathered my supplies and poured over which etching stencil to use. 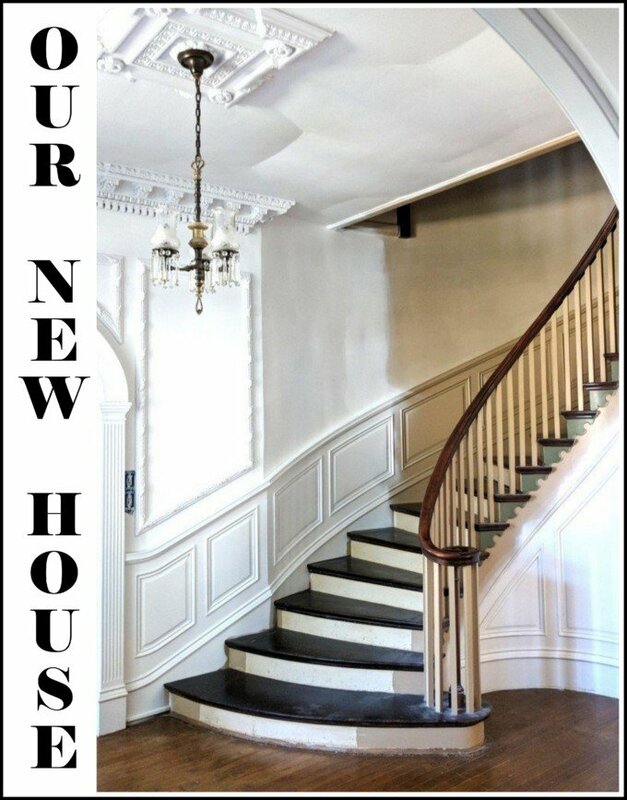 So many gorgeous options! I ended up choosing the ‘Mr. & Mrs. stencil with the intertwined rings between them as the ‘and’ sign. 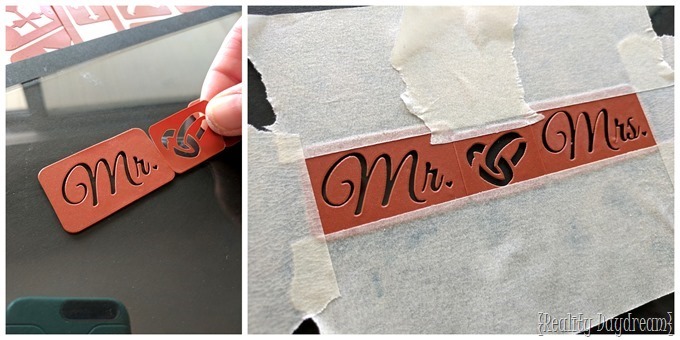 It’s important to make sure you put them on straight and centered, but don’t panic because you can totally take them off and re-place them as many times as you need before you go at it with etching cream. 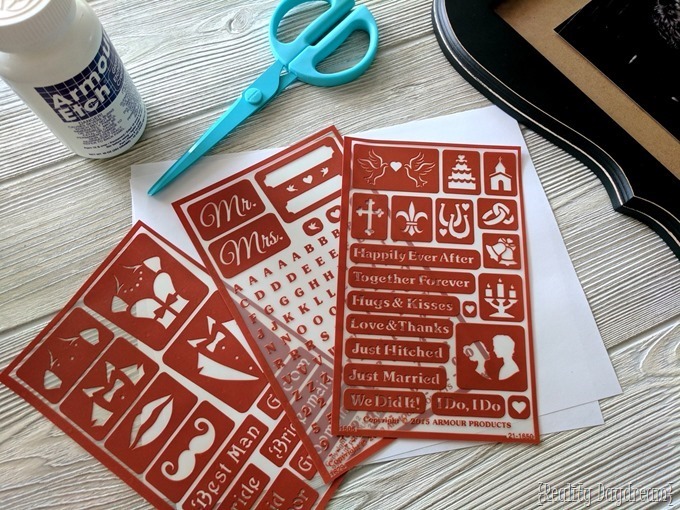 They’re REUSABLE STENCILS! 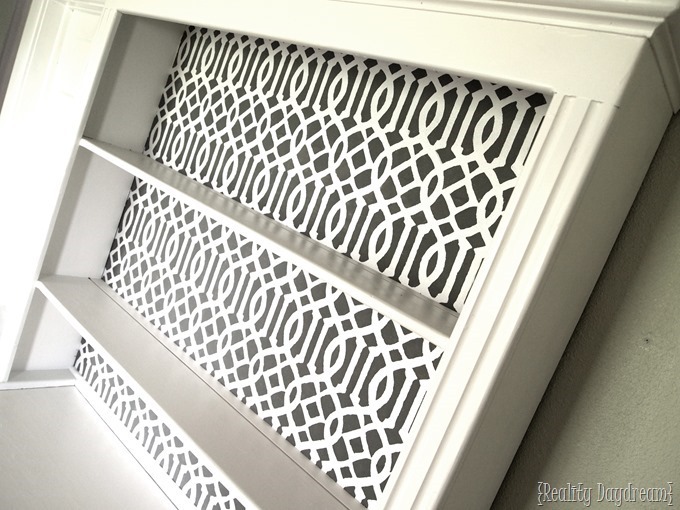 Once you get them just perfect, put masking tape all around the perimeter of the stencils to help protect the glass around it from accidentally getting etched. Time for the fun part! Slap on some gloves to protect your hands, and dip your paint brush into the Armour Etching Cream and start globbing it over your design. You want it to be a thick enough coat that the design is completely covered. Once the whole design is covered, let it sit for one to two minutes while the acid eats away at your glass! 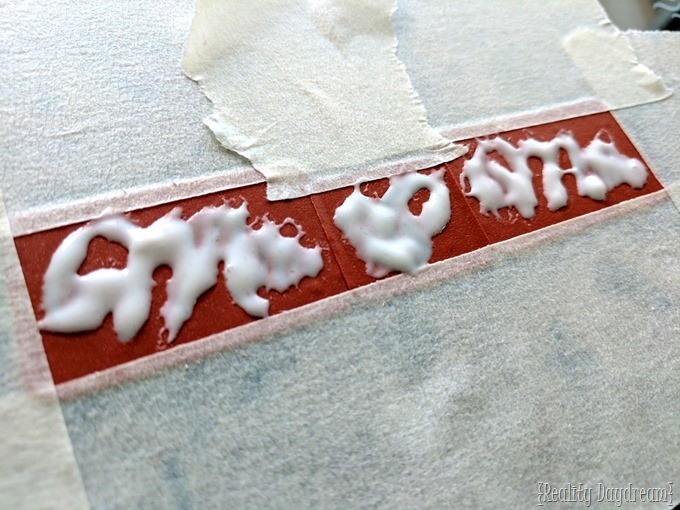 Then wash it off in the sink, being careful not to get any of the paste on your skin. 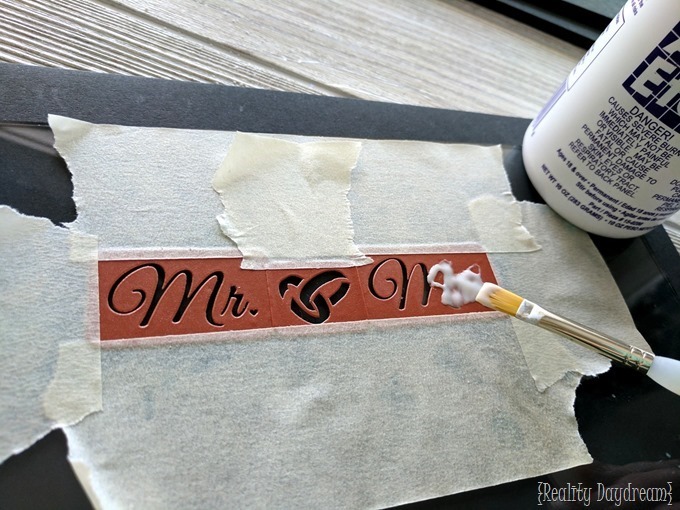 When it seems like you’ve gotten all the paste off, peel off your masking tape and stencils, and rinse off any remaining residue. You won’t be able to see the etching very well at first. It really pops once it’s completely dry! 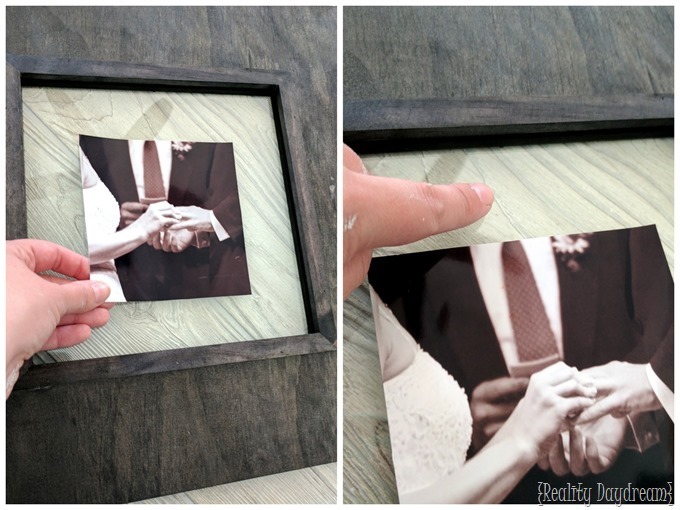 After it’s dry, clean your glass and pop it in the frame! If this isn’t instant gratification, then I don’t know what is! That’s PERMANENT folks! Can’t be scratched or washed off… ever. 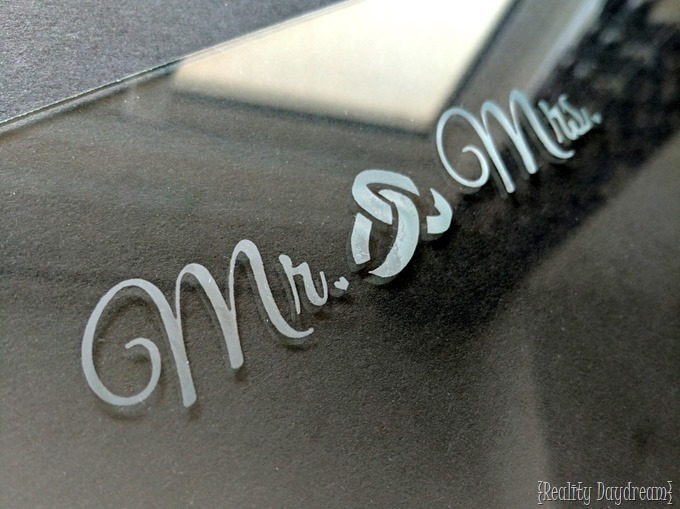 No expensive engraving or messy sand-blasting. And it makes for such a beautiful and subtle touch. Man, it is SO HARD to photograph etched glass… or even just glass in general, because of the reflection. In fact, this next pic you can’t really even see the etching because of the direction of the sunlight, but I wanted to show how awesome these look in a collage on with a gallery wall! 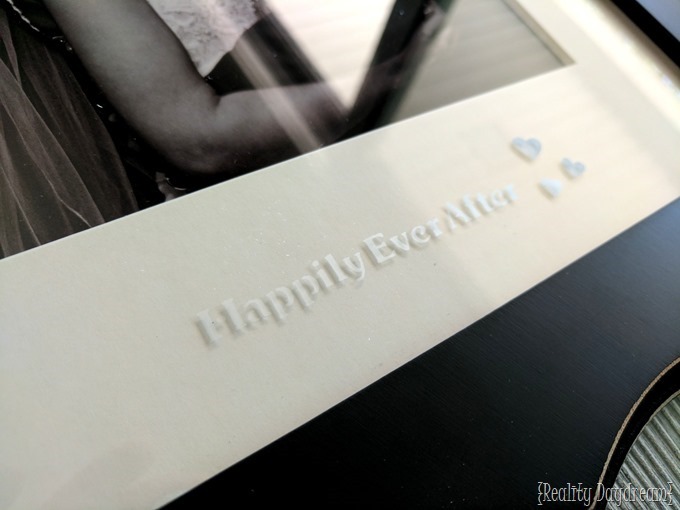 It’s fun to play around with different colors of backgrounds and frame mats to see what really makes the etching POP. I found that the lighting and angles is really what makes the biggest difference though. So elegant, subtle, and PERSONALIZED! 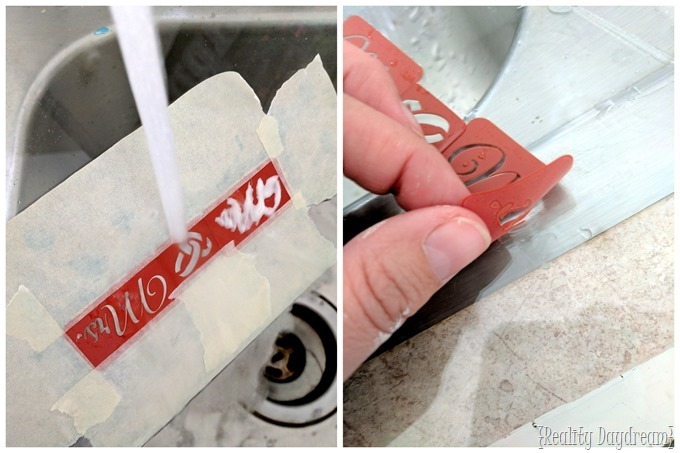 And you can use this technique on any glass that doesn’t have a coating on it, including wine glasses, mirrors, some Pyrex, windows… I even did the dome of a cake stand as a wedding gift once upon a time! You can even etch onto a wine bottle if you’re giving it as a gift. HOW FUN?! What is the first thing you’re going to etch?! Do I have your creative wheels spinning? I hope so! 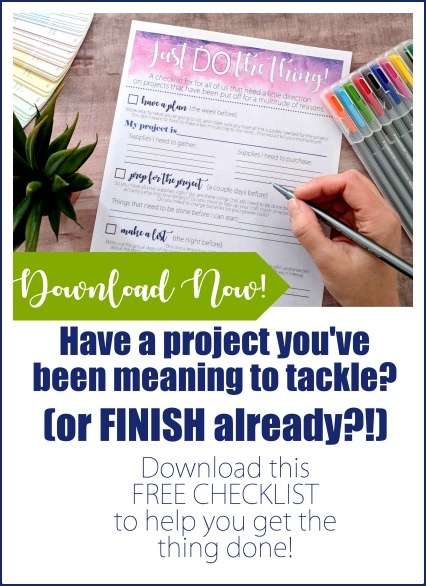 Be sure to share your projects with my by tagging me on social media! 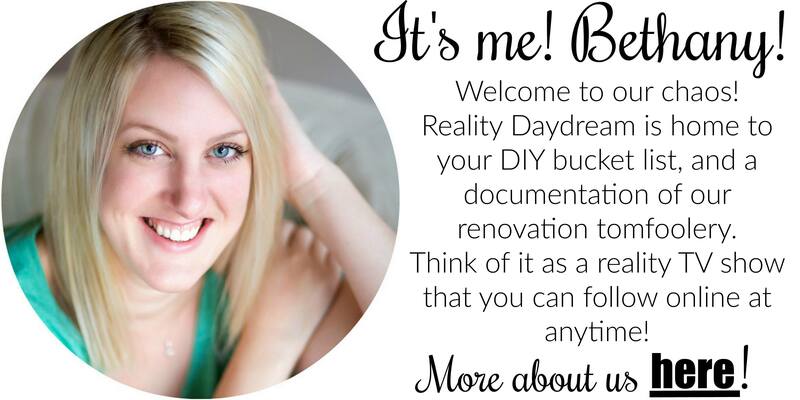 I’m @RealityDaydream on Facebook and Instagram. 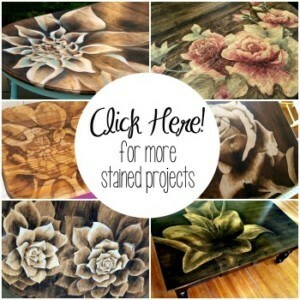 And go check out all the inspiring ideas and products by Armour Etch! 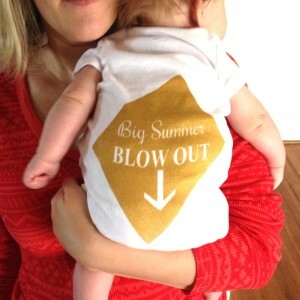 Learn how to MAKE A STENCIL with your own two hands! 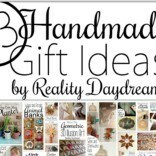 I love this idea – when I think of how many gifts and making something personal and quick !!! I love the cake dome idea. Thanks !! Brilliant!